Meatloaf. It's one of those things that sounds completely unappetising and is synonymous with a large man who is past his prime doing farewell tour after farewell tour. 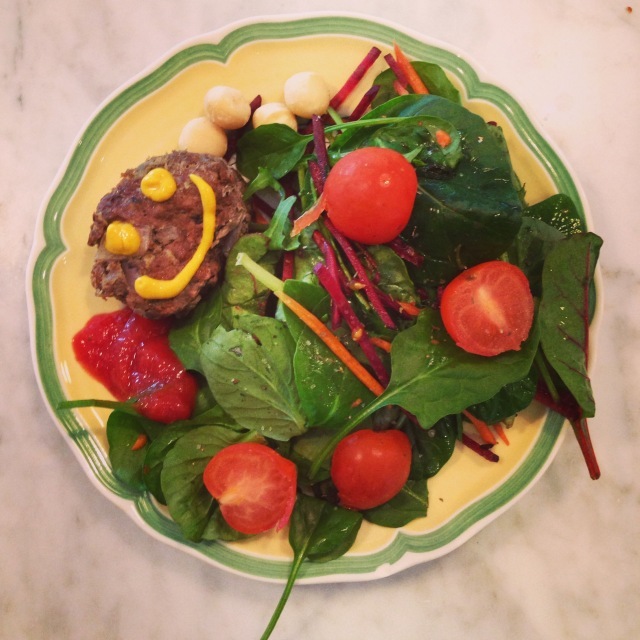 However, making your own mini meatloaves can be a great fun and convenient way to get protein and iron. Add your onion, carrot, mushrooms, spices plus some salt and pepper. Combine with a fork. Crack your egg into the bowl and break the yolk with a fork. Combine with the mixture - this is your glue! With the back of the spoon, press the mixture into the tin so it's nice and compacted and the tops are smooth. At this point, you can brush the tops with some organic ketchup if you like! Pop the tin into the oven and bake for about 20 minutes, turning the tray around halfway. You'll know when they're cooked when they're nice and brown and firm to touch. Run a knife around the edge of each hole, lift out your meatloaves and enjoy! Store extras in zip-lock bags in the freezer.